We are sharing a great group game that involves everyone and can be played indoors or out. 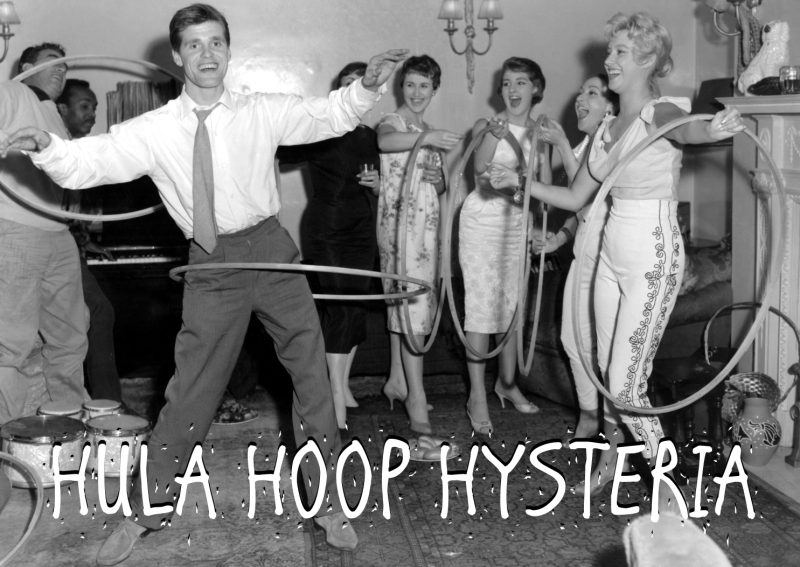 The name of the game is Hula Hoop Hysteria. Once you’ve selected and separated teams, have them line up in single file lines. At this point instruct them that they must take the hand of the person on their right and left. The first and last person in line will only be holding the hand of one person. Explain that each team must pass the hula hoop down the line without breaking their grip. If they unlink hands at any point, the team must start over or will incur a penalty that you can determine is appropriate. When you tell the teams to start, they must pass the hula hoop down the line as quickly as possible by contorting their hands, arms and entire bodies so that they can fit through the hula hoop and then pass it to the next person. Once they reach the end, the last person must hold it up and then pass it back to the front. The first team to do so and sit down in a single file line (they do not have to be holding hands at this point) wins. 1. We’ve played this game several times at our summer camp. It’s a simple, inexpensive and fun game to encourage teamwork. Feel free to talk to students about the importance of teamwork based off of this game. 2. If you want to throw a little variation on this game, have two giant teams stand in a circle and compete to see who can get it back to the starting point. You can play Jr. High vs. High School, guys vs. gals, separate by schools or just put into two even teams. 3. If you’re indoors, throw some upbeat music on to get everyone in amped up for the game.